Thousands of people now flock to Boracay Island to spend holidays and just to enjoy the beautiful white sand and atmosphere. I was one of the many people waiting for very low fares from different airlines but let’s be honest, they are very difficult to spot. This is the reason why we decided to try an alternative way to get to Boracay, and that is the M/V SAINT IGNATIUS OF LOYOLA. This is the lobby of the ship. Staff welcomed every visitor and assisted every passenger that needed assistance. If you would like to upgrade your accommodation you need to approach the reception for that and they will put you on a waiting list. Since meals are inclusive in your fare, you can take your meals at the HORIZON RESTAURANT. I find the food quite pricey, so what you can do is buy snacks outside before you board the ship. I saw a lot of passengers doing that. The Island Fiesta Grill is an outdoor bar with live band ready to entertain the passengers for the long journey ahead. The Island Fiesta Grill also serves as a nice place to just chill, relax and enjoy the ocean breeze. Meals and linen are included in your fare. Just present your ticket and ID as a deposit when collecting your linen. CABIN ROOM which is good for 2 Persons. Perfect for those who would like to sleep in comfort and style! I would love to stay here! STATE ROOM is good for 4 persons. This is perfect for a small family who enjoys their privacy. The CABINS and STATEROOMS all have their own personal toilets and baths. Since the travel time wasn’t that long, we decided to avail of the TOURIST ACCOMMODATION. We paid Php 1300.00, all inclusive for one way. So all in all the round trip only cost us less than Php 3000.00! There were some parts where aircon was TOO cold! Make sure to bring jackets with you when you are in Tourist. Another type of accommodation was the Economy . The only difference with this from the tourist was the aircon. The economy is very open and airy which is also not bad specially for a short trip. Another favorite spot is View Deck just above the main lobby. This is a perfect place for snacks or if you want to read books or simply gaze at the horizon. 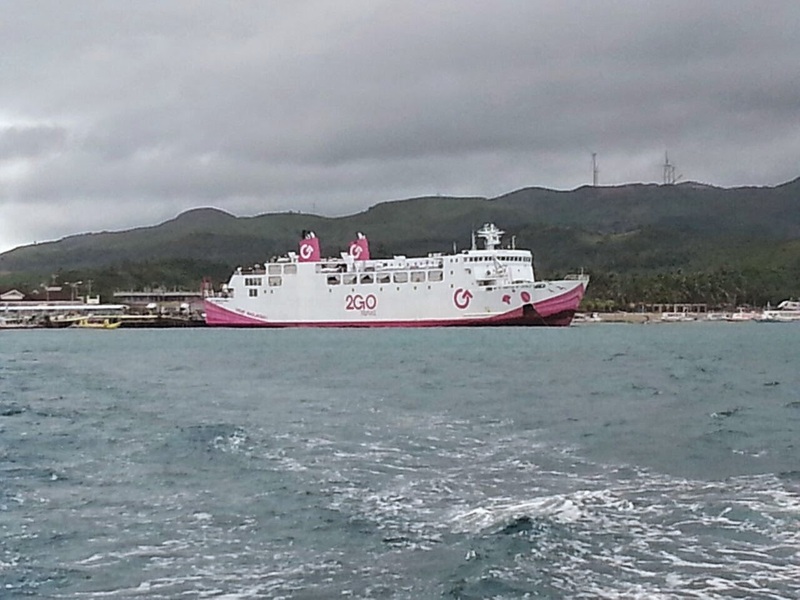 If you are planning to go to Boracay or are planning to go to other beautiful islands in the Philippines, you must consider booking at 2Go Travel. Time flies, but good memories will surely last forever! If you are going to buy your tickets online and will be using credit cards, please make sure to follow the important requirements such as making photocopies of your tickets, ID’s, and Credit Cards to avoid any delay in your travel. Thank you for this post, now I can plan our trip to Boracay via 2Go soon. It's always a pleasure Mommy Levy, I am glad you found a more affordable way of travelling to Boracay. thanks for this post! it is really helpful. Do you find it safe to tavel by ferry? Where did you stay in boracay? Hello! It was pretty safe for me. Aside from that,cost less than taking a airplane. We stayed along Station 3 which is less busy compared to Station 1 and 2. Great Info dude. You just provided the info i was looking for. God Bless you !! I'm planning to come back from boracay to manila by ferry. i have just one worry, once reached at batangas is it easy to get transportation to Manila ? We will be reaching around 6 PM. 2GO's page regarding that is under construction and they haven't replied to my query. Its actually the best alternative to go to Boracay. The travel time is not that bad and the most important thing is, its cheaper than any other airfares. Enjoy and have a fun summer Erika! How much po yung fare sa bangka papuntang boracay? Hello! Anong oras po dapat nasa pier para bumili ng ticket on the day ng departure? May boarding time po ba ang 2go? Thanks to your blog now I am decided to try to 2GO this coming week.